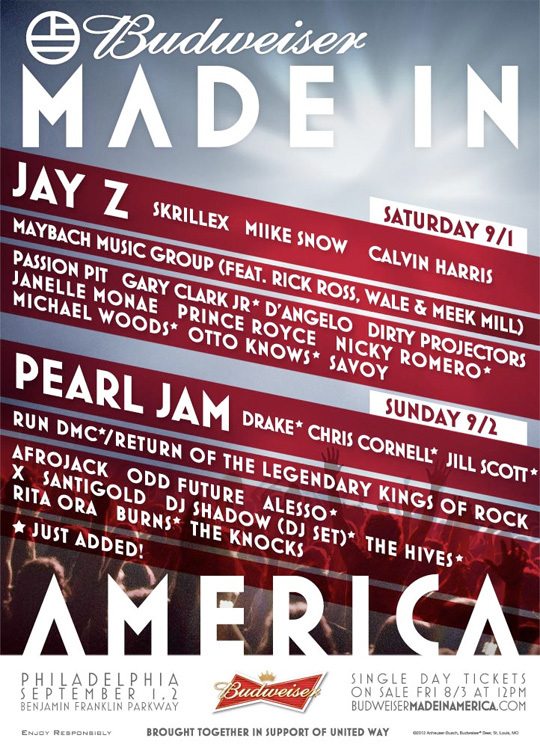 Drake performed at the Budweiser Made In America Festival. Drake performed in Zurich, Switzerland as the headliner for Openair Freauenfeld Festival. Drake will be headlining today in London, England for the Wireless Festival. Just moments ago, Rihanna and Drizzy Drake had their half-time performance at the 2011 NBA All-Star Game. Check the video out above and leave your comments below. Happy Birthday Rihanna! Last night, Drake and Rihanna performed their hit single, What’s My Name, at the 2011 Grammys. Although Drake didn’t win a GRAMMY, he’s still a winner in our hearts. Check the video of their performance above, both Drizzy and RiRi looked amazing! Leave your thoughts in the comments below. Check out these videos of Drizzy Drake and the Jigga Jay-Z performing Successful live in Toronto during Jay-Z’s BluePrint tour. We found these at Peace Magazine via ATF. Leave your thoughts in the comments.